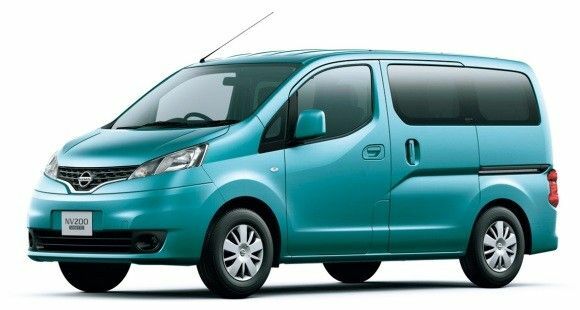 The Nissan NV200 is undergoing a voluntary recall for a wiring harness issue. Only a handful of the up-and-coming commercial van are subject to the safety recall. Nissan issued a recall notice that affects about 2,529 NV200 vans. It affects those vans built between February 6, 2013 and August 2, 2013 and can cause an engine shutdown, but no other safety problems. To date, the issue has not caused any accidents. The recall is for a wiring harness installed in a particular assembly line that may wear through its protective coating, causing a short, which in turn could blow the fuse which links power to the fuel pump. If that occurs, the engine would shut off. The harness in question is one which runs past the battery fuse terminal and a fusible link in the fuel system. The issue is the wire's routing past the bracket where the fusible link is located. The bracket may wear through the loose wiring harness, exposing the bare wires which in turn can short by making contact with the bracket, which could blow the fusible link to the fuel pump. Nissan is notifying owners who are affected by the recall and will inspect and reposition the wiring harness at no charge, replacing those which require it and adding a new protective coating to those which do not require replacement as an added precaution. This recall is expected to begin in mid-December and owners are invited to call Nissan Customer Service at 800-647-7261.